There's a stunning new photo gallery called Life: Magnified that's currently on display at Washington's Dulles International Airport's Gateway Gallery. 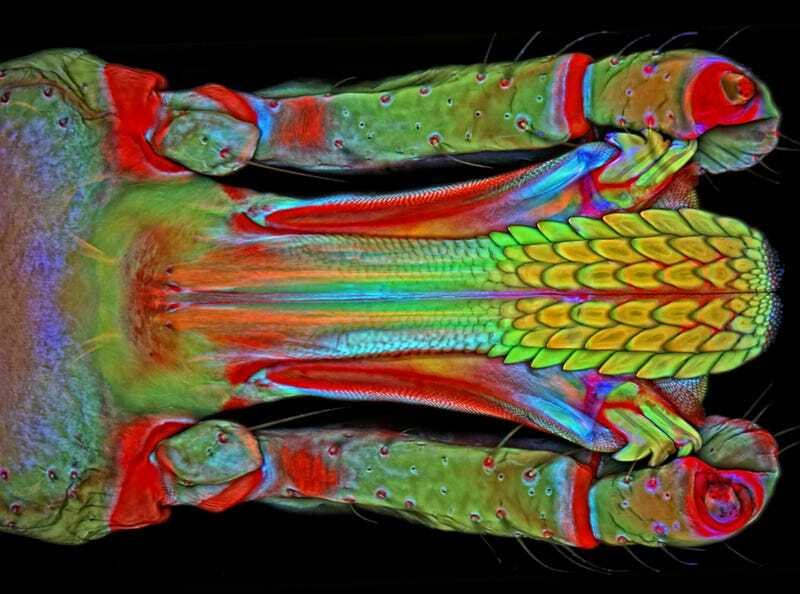 Here's a sampling of the gallery's best images — from the hairs on a gecko's feet to the viruses that make our lives miserable. All captions via National Institute of General Medical Sciences. Photo credits appear beneath each image. Hepatocytes are the most abundant type of cell in the human liver. They play an important role in building proteins; producing bile, a liquid that aids in digesting fats; and chemically processing molecules found normally in the body, like hormones, as well as foreign substances like medicines and alcohol. (Donna Beer Stolz, University of Pittsburgh). Life: Magnified is a joint project among the National Institute of General Medical Sciences, the American Society for Cell Biology and the Metropolitan Washington Airports Authority's Arts Program, which utilizes the arts to enhance travel experiences at Dulles International and Reagan National Airports. ZEISS provided additional support of the exhibit.